Lately we have been devoting thinking and planning to new training and educational opportunities. We have re-purposed a space in our building as a new meeting/class room. It comfortably holds 25 people and we continue to outfit the space so that it is appropriate for many uses. Various meetings are now held there and we are planning our first class there. See the announcement below. 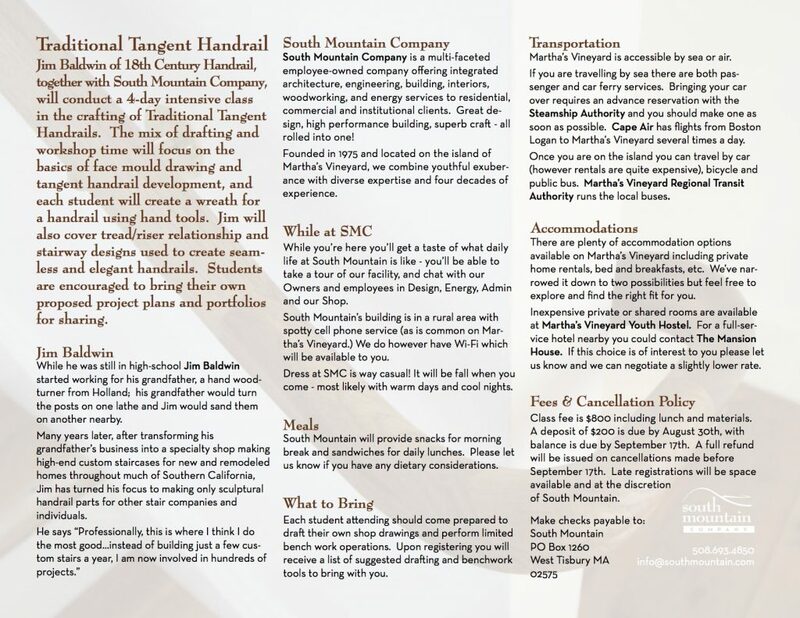 In addition, SMCo is collaborating with NESEA (the Northeast Sustainable Energy Association) and the Yestermorrow Design Build School (in Vermont) to create a new program in the Northeast that will bring together architecture, building, design/build, and energy companies in a peer group network called Building Energy Bottom Lines. The purpose is to form groups of businesses which will help each other improve their practices on an ongoing basis. The focus will be progressive Triple Bottom Line (people, planet, profits) business approaches. Our co-conspirators in this endeavor are old friends and fellow design/builders Jamie Wolf (Wolfworks) and Paul Eldrencamp (Byggmeister). The program will launch with several half day workshops at Building Energy 14 (the annual NESEA conference which draws thousands of Northeast professionals) in March 2014 and a two day workshop in Vermont in April 2014. You’ll be hearing more about this as time goes by. Meanwhile, if you’re interested in learning an arcane and remarkable technique (or maybe it’s an “art”!) 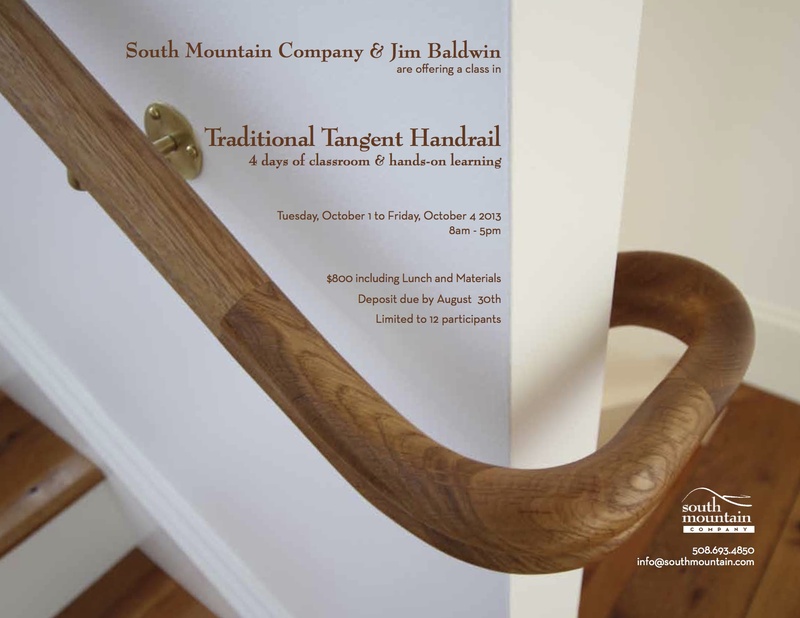 that very few carpenters and woodworkers know, come to our Tangent Handrail Workshop in October. Jim Baldwin is a fine instructor and he will be assisted by our own Billy Dillon.